El Pe, Now we all will found out everything. 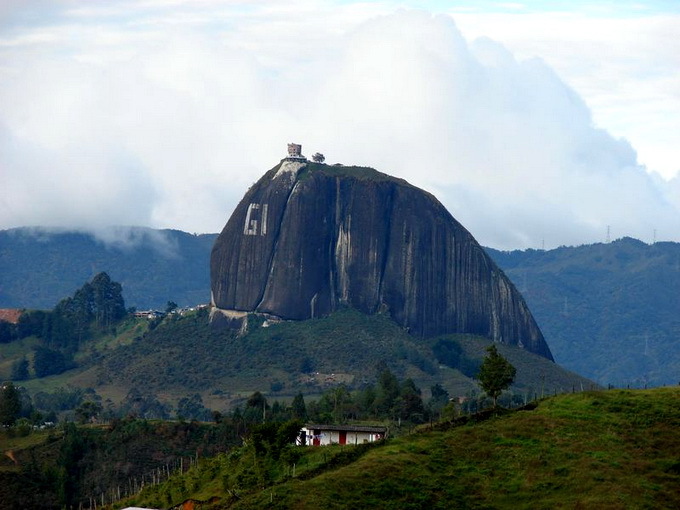 Tthe Piedra de Penol or El Pe on de Guatape was once worshiped by the Tahamies Indians. By the 1900s, the massive 10-million-ton rock was seen by local farmers as a nuisance, a giant version of the rocks that the farmers regularly dug out of their fields. In 1954 a group of friends-supposedly at the urging of a local priest-climbed the rock using a series of boards wedged into a crack. These were the first people known to have climbed El Pe? 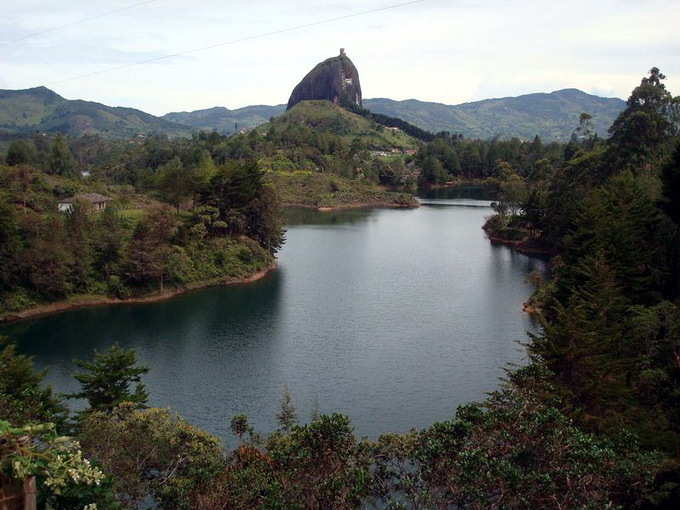 On de Guatape. It is unknown whether the Tahamies had a way of ascending the stone. Climbing the huge stone took five days, but the top of the rock revealed both beautiful views and a new species of plant, Pitcairma heterophila. 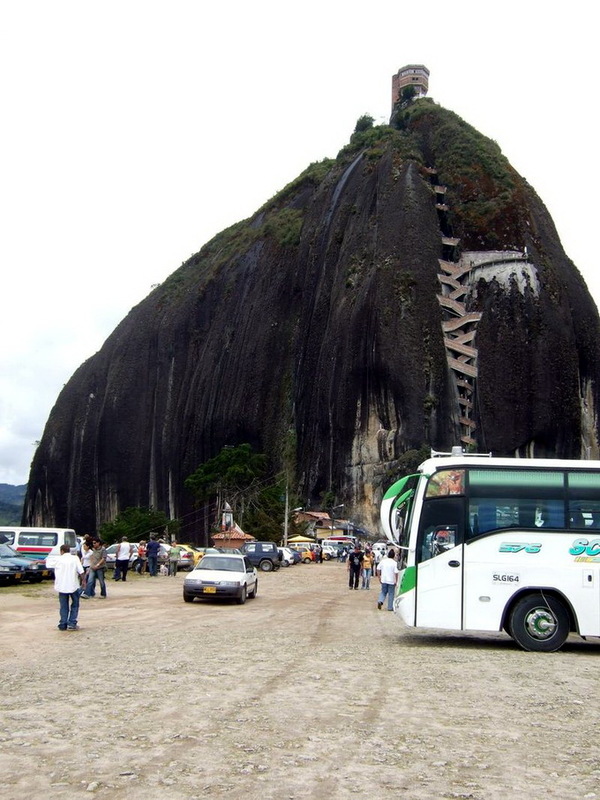 The rock soon became a modest tourist attraction. 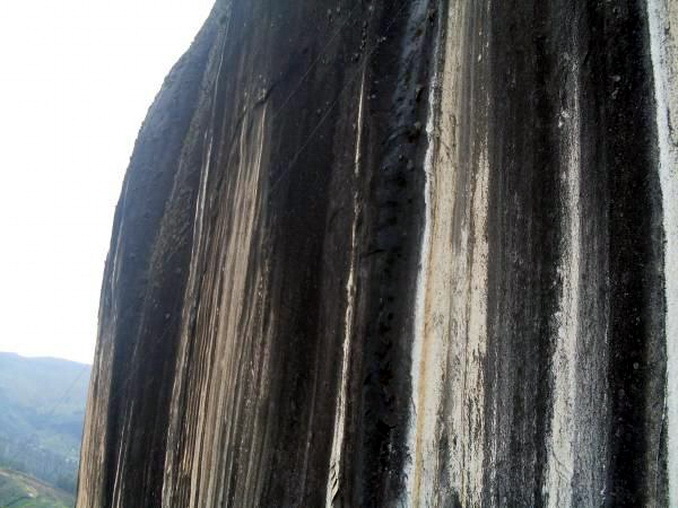 The rock, which is almost entirely smooth, has one long crack. 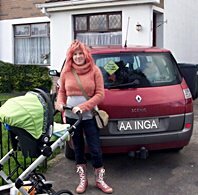 The one that the climbers used in ascending it. 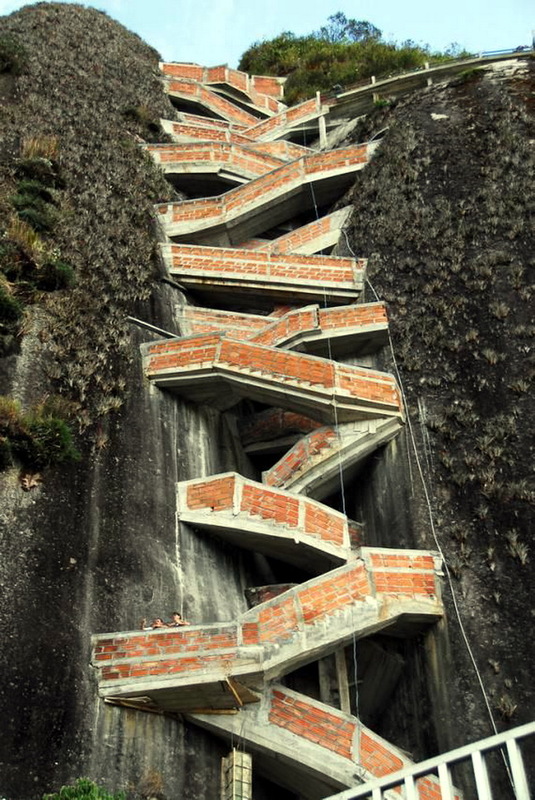 In the crack was later wedged a 649-step masonry staircase, the only way to get to the top of the Piedra de Penol. In the 1970s, the area was dammed, and the view from the rock changed: It now overlooks a dramatic series of lakes and islands. 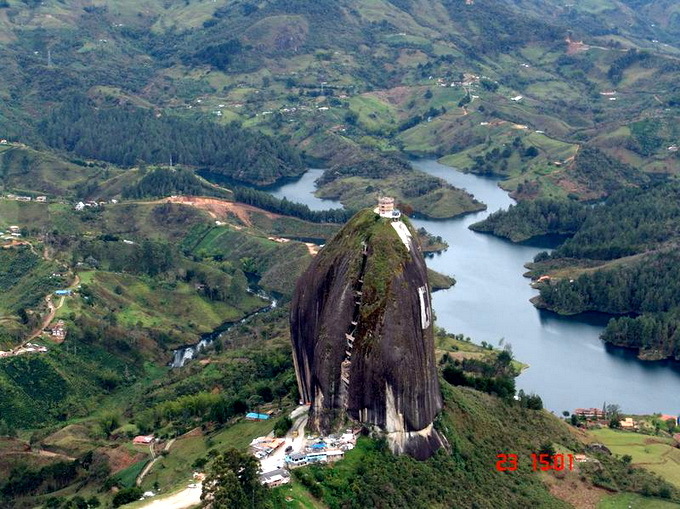 Today, you can ascend the rock, apparently owned by a local family, though also designated by Colombia as a “national monument”, for 2 US dollars. 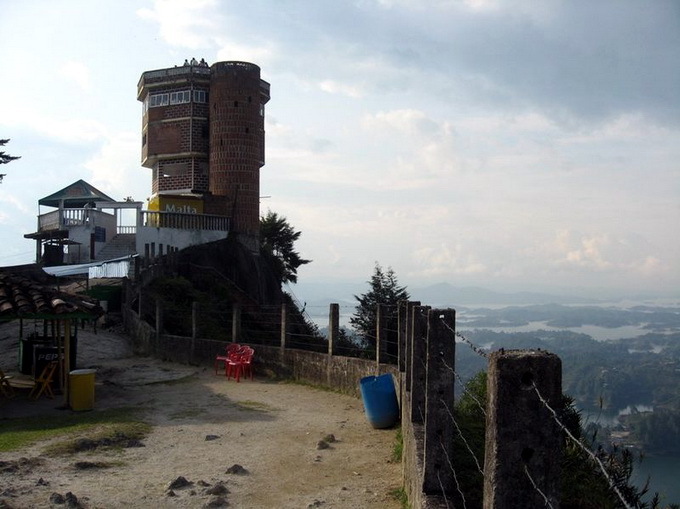 There you’ll find a few religious relics and a three-story lookout tower. Next Next post: Chemical cocktails on male reproductive health.